Which Is The Best Ringtone App For Android? Are you tired of hearing the standard ringtone of your Android smartphone? Choose and download a ringtone that is more suitable to your personality via the best ringtone app for free. Make your smartphone ringtone turn heads and rise from the competition by either creating your own distinctive tone or by downloading an off-the-rack tunes made up for grabs by the best ringtone app in the Android market. So why settle for those default ringtones when you can have a blast discovering the hottest ringtones in the planet over and above the outstanding ringtones created and shared by independent musicians and regular folks just like you and me. 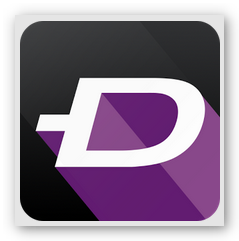 ZEDGE™ Ringtones & Wallpapers is a favorite ringtone app among Android users. It has a massive collection of high quality ringtones as well as wallpapers created and submitted by independent artists and other users from all over the world. While there may not be a lot of popular music tones available for download, you will certainly stumble into a unique tone that will surprisingly please your ears. You may browse from their library of tunes categorized from electronica, classical, humor, country, jazz, hip-hop and so much more. Also, the downloaded ringtones can be easily managed and assigned to specific contacts, SMS alert and other notification settings. 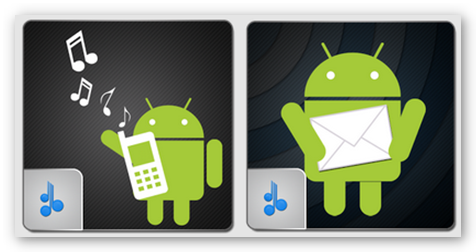 If you prefer making a customized ringtone from your Android music collection, then you may use Ringtone Maker . It is a ringtone app that lets you create custom tones from music files saved on your smartphone. It comes with features like fade in & fade out, volume adjustment and more to support editing of MP3, WAV, AAC including AMR and 3GPP files, which is the default format of sounds recorded using your smartphone. Additional ringtone app that enables you to create ringtones from your smartphone’s audio files is Audiko Ringtones . Aside from that, they also offer free download of pre-customized ringtones their huge selection chart topping and most popular of ringtones, plus you can also opt to grab custom ringtones created and shared by millions of Audiko community members around the globe. While downloading a ringtone app on your Android is a good portal to get free ringtones, it also has its disadvantages such as consuming memory space which you could use for installing other useful apps that can make your smartphone more productive and the likelihood downloading the same ringtone as your friend or colleague which in a way is defeating the purpose of using a ringtone app in the first place. 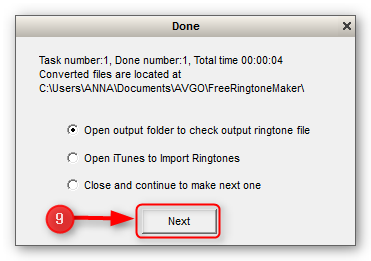 A smarter way to get free ringtones without using an Android ringtone app is by creating your own unique notification sound through AVGO Free Ringtone Maker, a user friendly freeware that lets you generate personalized ringtone from any audio file from your computer for use on your Android smartphone. It is fun, safe and absolutely FREE! 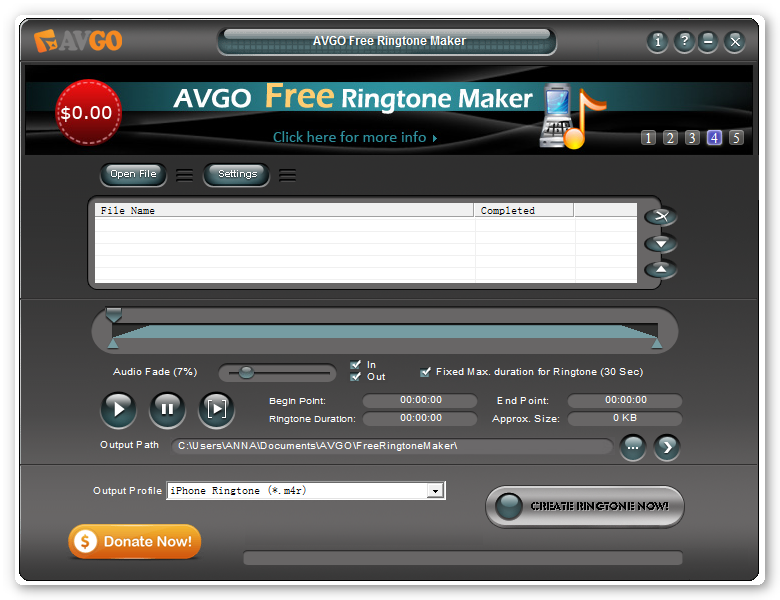 Grab Your Free AVGO Ringtone Maker Now! Do you want to make your own ringtone? Get acquainted with the difference and similarities of online ringtone maker and free ringtone maker software. Customizing your ringtone is fun and easy if you know the right tool for it. Currently, there are several commercial and free software that are specifically designed to do the job. But there is an emerging challenger in the market. 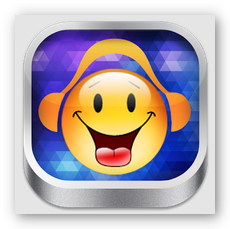 The availability of an online ringtone maker had many debating if it is actually better choice over a freeware for creating ringtones. To help you decide on which is the best choice, we have identified the similarities and difference between the two contending ringtone tools. Free Usage – Similar to Free Ringtone Maker, you can use online ringtone maker for free. No registration or subscription fee required. Ease of Use – Both ringtone makers possess a good user interface which makes it very simple to use. 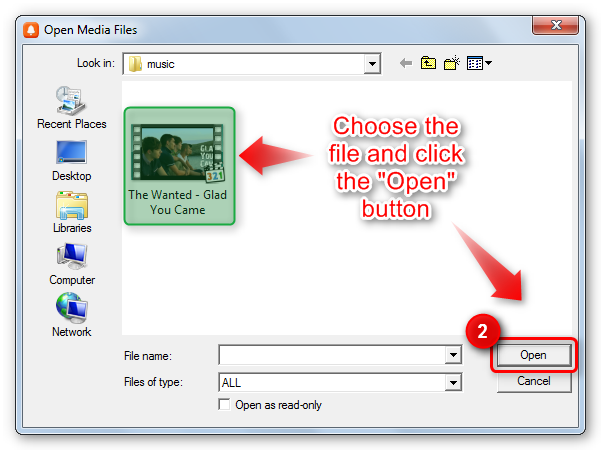 When using online ringtone maker, you just have to upload your audio file via URL or from your computer while in Free Ringtone Maker, you add the file from your saved music files on pc. Features – They offer the same capabilities. They both allow you to “trim/clip audio” to a specific portion of the audio file that you want to use for your ringtone and you can also set “fade in/out” with both ringtone tools. Supported Format – They are both capable of outputting the same audio format such as MP3, WAV, M4R, etc., but Free Ringtone Maker is more product/device specific. Result – The output ringtones created with either tool is remarkable in terms of sound quality and clarity. More or less, both ringtone maker utility is on the same page except for the two most important aspect. Accessibility – While online ringtone maker is a good alternative to a free software for making ringtones, the access to it is solely dependent on the availability of an internet connection. Performance/Speed – Since online ringtone maker can only be accessed if you have an internet connection, the performance is also directly proportional to it. If you have a stable and fast connection, the conversion speed of online ringtone maker is comparable to Free Ringtone Maker, otherwise the latter takes this round. Note: Keep in mind that you need to upload the audio file when using an online ringtone maker, thus if your internet connection is not praiseworthy then making your own ringtone via this way is less likely to be enjoyable and enticing. 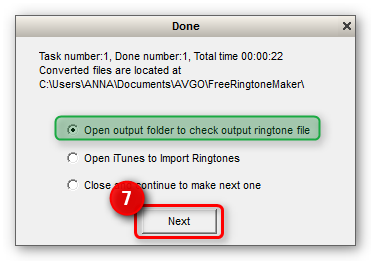 Free Ringtone Maker is a free software that can create ringtones regardless of your internet connection. The conversion speed and output is simply outstanding. 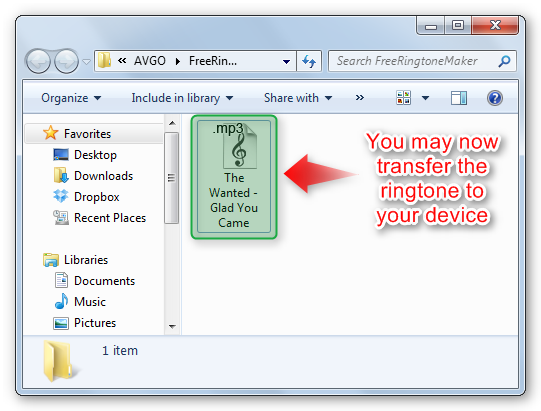 Also you can use Free Ringtone Maker anytime and anywhere. 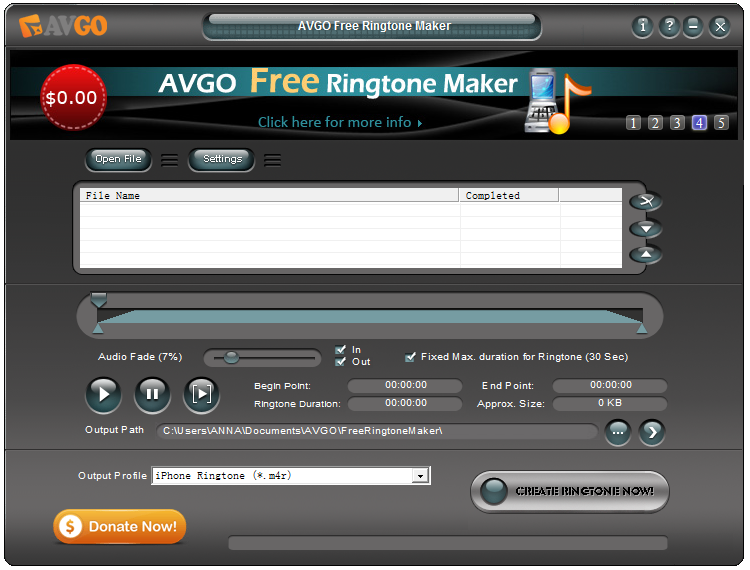 Needless to say, AVGO Free Ringtone Maker is unmistakably the best choice over commercial software for ringtone creation and online ringtone maker. Which is the best free Ringtone App for iPhone? 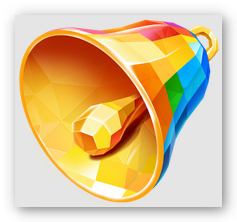 Check out the list of best free ringtone app for iPhone that you can download from the Apps Store. Get to know what each ringtone app has to offer and more. Why spend good money just to download a ringtone for your iPhone when you can download and make unlimited sounds for free? There are several non-commercial ringtone app for iPhone that you can choose from the Apps Store. We have listed the top ones to give you a heads up on each ringtone app’s features and capability. Strength: This free ringtone app has a large “Ringtone Collection” that you can browse from. 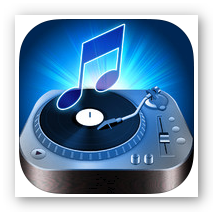 It allows you to create your own ringtone from your favorite songs or record your own sounds. 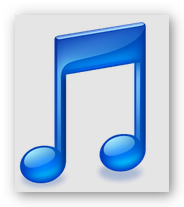 You may also upload your custom made ringtones for other users to check on or share them via email, Facebook or Twitter. 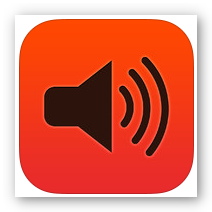 Strength: Using this free ringtone app, you can create ringtones from your music library. It accepts MP3, M4A, AIF and WAV as input file formats. It also allows you to change the tempo of the songs and set the fade in and fade out effects. Weakness: The free version is restricted on creating ringtones good for 20 seconds only and it cannot create ringtones from songs purchased from iTunes store due to DRM protection. 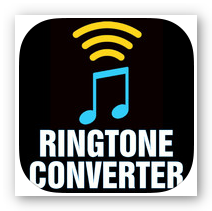 Strength: Ringtone Converter is very easy to use. 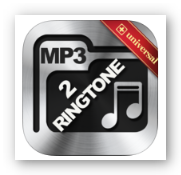 Just like A MP3 2 Ringtone Free, this free ringtone app also allows you to make unlimited ringtones from your music library and supports M4A, AIF and WAV as source file. It also supports ringtone file sharing through email. Weakness: Does not support DRM protected files as well as .M4P format. Strength: This is a fun free ringtone app for those who love to edit and put an extra sound effects to a particular song. It has awesome features like “pitch and scratch” and “delay effects”. You may use any song from your music library as a source file. Is there an alternative to downloading free ringtone apps? Yes there is. Please note that downloading free ringtone app consumes precious memory space on your iPhone. Also, installing several apps may have an effect on the performance of your device. 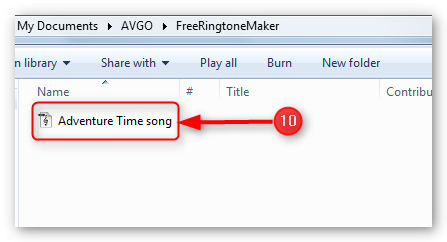 So if you want to save on memory space, the best alternative on getting free ringtones for your iPhone is by using AVGO Free Ringtone Maker. This user-friendly free software can create ringtones from any video or audio file you have in your computer. It also has a number of useful software features that will make your customized ringtone all the more special. With this free ringtone maker, you can make catchy and unique ringtones for iPhone and several other phones (Samsung, Nokia, etc.) absolutely free! Get AVGO Free Ringtone Maker now! Have a blast in making your own unique iPhone ringtones and more for FREE. Download the best Free Ringtone Maker powered by AVGO. It is a known fact that Apple’s iPhone is still one of the leading and most preferred mobile devices to date and having one makes you an instant member of the “in” crowd. Albeit it is awesome if you together with your friends or family are doting owners of this amazing piece of technology, sporting the same ringtone could be a total buzzkill. So be uniquely cool and stand out, make your own ringtone with AVGO’s Free Ringtone Maker. 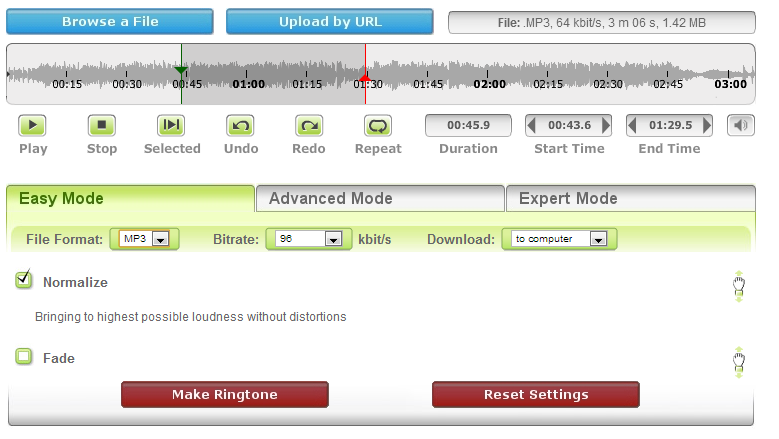 It is an easy to use freeware that allows you to create and personalized your own ringtone from any of your audio or video file format (it can extract audio from any video file format). Why create iPhone ringtones when you can download free ones? While it is great that one can easily download free ringtones from websites such as Zedge, Mobile9, Audiko, etc. ,we encourage you to consider the following downsides to it. Downloading free ringtone is very risky as you might also get infected with malware, adware, spyware or virus in the process and you will most probably end up spending a lot to have your computer fixed. So the free ringtone is not so free after all, right? Since free ringtone download is available to all, there is still a chance that someone you know will have the same iPhone ringtone as yours. What makes “do-it-yourself” iPhone ringtones better? These are just some of the perks you can enjoy if you use Free Ringtone Maker to create your iPhone ringtones. It is safer to create your own iPhone ringtones rather than downloading ready-made ones from the internet because you will just be converting from an audio or video file that is already stored in your computer. You will have a back-up copy of the iPhone ringtones you have created which will come handy should something bad happen to your iPhone. You can also use Free Ringtone Maker to make ringtones for other devices including Samsung mobile, Nokia mobile, Blackberry and more. 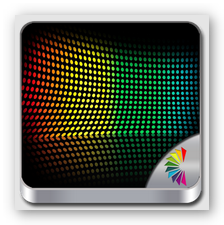 Explore your creative side, have fun and try Free Ringtone Maker now!